The Umbrella of Colonie will host a luncheon for Umbrella members and handymen on Tuesday, Nov. 15, at noon in the Lakeview Dining room. The complimentary lunch will include turkey meatloaf with mashed potatoes, carrots and peaches for dessert. For more information or RSVP, please call 459-2857, ext. 303. Save on your auto insurance and mark your calendar for Saturday, Nov. 19. The Driver Fitness Center offers a defensive driving class from 9 a.m. to 3:30 p.m. for $25. The class is open to drivers of any age. For more information and to RSVP, call 459-2857, ext. 303. We know that many people are excited for the leasing at the King Thiel Senior Community. We have begun the leasing process. By filling out an application, you will be put on our waiting list for residency when you will be able to pick out your apartment and put down a deposit to reserve your apartment. Only those who have applied will have a chance to reserve an apartment at King Theil Senior Community in the spring of 2017. If you are interested in learning more or applying to the King Thiel Senior Community, contact Jim Quinn at 429-6292 or visit us at www.KingThielSeniorCommunity.org. The services are better than ever under Umbrella. Join and receive access to nearly 100 free and discounted programs and services to help you maintain your home, all for less than $1 per day. On top of this, we are helping members fill out their “Clean & Tune” application sheets. All members eligible for HEAP will have access to up to $400 toward furnace and chimney cleanings and tune-ups. 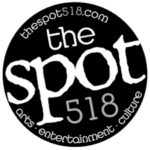 Give us a call at 459-2857, ext. 311. Jim Quinn, Umbrella of Colonie director, is always around to talk to residents of Colonie about how to become an Umbrella member and all of the benefits that are “Under the Umbrella,” including free banking with CAP COM, a fitness membership and more. Call 459-2857 ext. 303 to RSVP for any of the above, unless otherwise noted. *All reservations for Senior Dining must be made by noon the previous business day. Please call 459-2857, ext. 303. 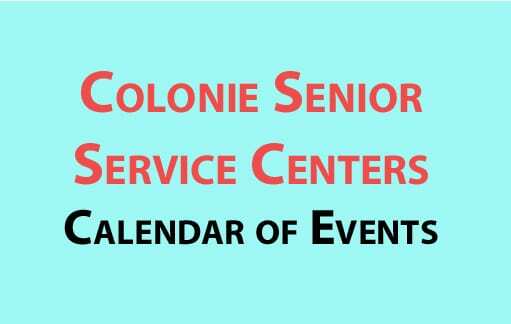 Colonie Senior Service Centers Inc.